Amidst much speculation the group, Connecticut Citizens Defense League announced Friday that it would endorse GOP gubernatorial candidate Tom Foley in the 2014 race. The group's president said the endorsement was an inevitable one. "Tom is far ahead in the polls" said Scott Wilson, the President of the 15,000 member CCDL. "Tom has indicated that if by some miracle that a repeal would be brought to him, he would sign it." The CCDL has been by far one of the most vocal Second Amendment rights groups in the region since Connecticut's General Assembly passed one of the most sweeping gun control measures in the country. The legislation came in response to the Sandy Hook Elementary School shooting that took the lives of 26 people, including 20 children in December 2012. Foley's campaign embraced the endorsement from the state's strongest gun rights group. In a statement, Foley campaign spokesman Chris Cooper said, "We welcome the support the CCDL and any group seeking change in Connecticut. CCDL members have been bullied by Governor Malloy as have teachers, state workers, and parents." 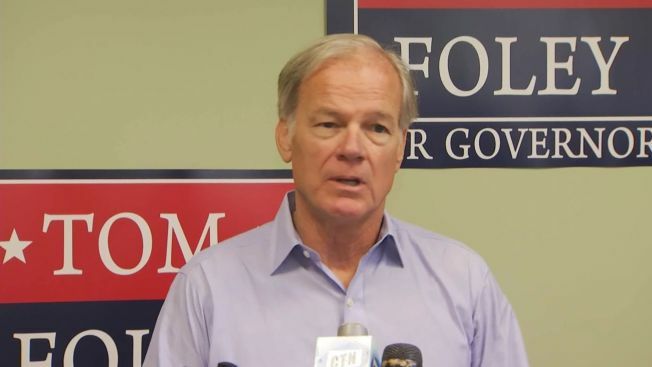 Connecticut's Democrats say the endorsement is a sign that Foley has gone too far right in his second bid for the state's highest office. Devon Puglia, a spokesperson for the party, said "it is clear now that Tom Foley would take us backwards on our smart, strict gun law." "This is an extremist group that Tom Foley is standing shoulder to shoulder with because he has promised to repeal our gun law," Puglia added. Wilson with CCDL resents the label of his group being labeled "extremist." He said he thinks the Malloy campaign has orchestrated a campaign to smear the group. "We're everyday people and we go to our communities and we are citizens of the state of Connecticut," Wilson said. "Our only mission is to defend and protect our Second Amendment rights."